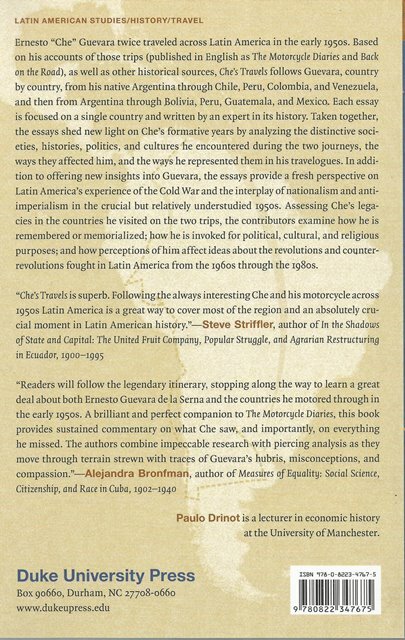 Che's Travels edited by Paulo Drinot is a collection of essays regarding Che's travels. Ernesto "Che" Guevara twice traveled across Latin America in the early 1950s. 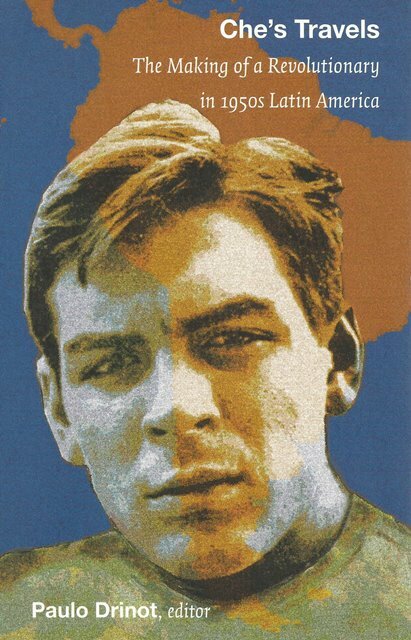 Based on his accounts of those trips (published in English as "The Motorcycle Diaries" and "Back on the Road"), as well as other historical sources, "Che's Travels" follows Guevara, country by country, from his native Argentina through Chile, Peru, Colombia, and Venezuela, and then from Argentina through Bolivia, Peru, Guatemala, and Mexico. Each essay is focused on a single country and written by an expert in its history. Taken together, the essays shed new light on Che's formative years by analyzing the distinctive societies, histories, politics, and cultures he encountered on these two trips, the ways they affected him, and the ways he represented them in his travelogues. In addition to offering new insights into Guevara, the essays provide a fresh perspective on Latin America's experience of the Cold War and the interplay of nationalism and anti-imperialism in the crucial but relatively understudied 1950s. Assessing Che's legacies in the countries he visited during the two journeys, the contributors examine how he is remembered or memorialized; how he is invoked for political, cultural, and religious purposes; and how perceptions of him affect ideas about the revolutions and counterrevolutions fought in Latin America from the 1960s through the 1980s.